With a history that backs its roots in the year 1974 Volkswagen Golf in no time won hearts of its customers. Carrying the legacy Volkswagen at 2013 Frankfurt Motor Show unveiled its all new and all-electric Volkswagen e-Golf 2015. 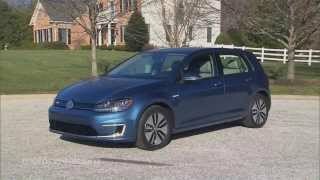 Though exterior features carry resemblances but there is lot more if we have a look at the entire package company is offering with e-Golf 2015. Let us have a closer look at the 2015 model. Interior of Volkswagen e-Golf has received some changes that make it unique when compared to regular Golf. Major changes that we noticed began the sighting through lots of blue elements incorporated in cabin, a new instrument panel and a touchscreen located in center below the air vents. Three-spoke steering wheel is covered with leather while the same work leaves its commendable marks on gear knob and floor mat edgings. There is an extra display that will guide you for the moment you should roll the wheels of your e-Golf 2015. Getting back to the 8” touchscreen, it offers you functions like, energy flow indicator, range monitor and more. There are some more unique features at your service like Automatic climate control. Heated windscreen and parking heater/ventilation while you sit comfortably over ‘Merlin e-grey/Clip titanium black’ pattern seats. 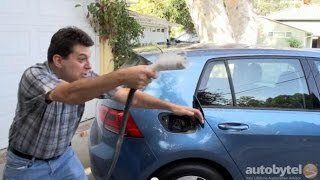 Exterior of Volkswagen e-Golf 2015 is like a mirror image of any other model of the tag you’ll find on street but yes to keep the e-Golf 2015 benchmark there are some distinct features included, which we believe were necessary. 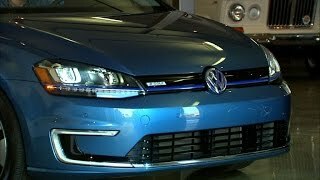 This queue of changes begins with the LED headlights introduced in front fascia of e-Golf 2015 which just for the sake of your knowledge we would like to share is first time for a Volkswagen car. Moving ahead in same arena is a new designed front bumper incorporating daytime running lights. At the rear you might notice a major change through missing exhaust pipe (being an electric car) and yes LED taillights spreading wide from fenders till trunk lid. 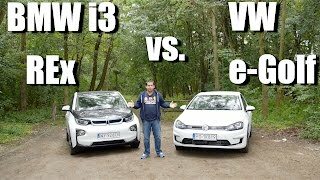 Volkswagen e-Golf 2015 gets its power through an EEM 85 electric motor which delivers a total output of 115 hp and 270 nm of peak torque. 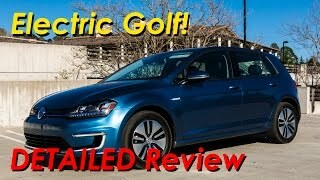 With this power moving across entire body of Volkswagen e-Golf 2015, driver is capable of touching a top speed of 86 mph, while the 0-62 mph sprint stands firm at 10.4 seconds. Model comes with three driving modes, namely: Normal, Eco and Eco+.